Our research covers basic psycholinguistic and neurolinguistic questions for a wide variety of different languages. Consequently, Language & Brain Lab members travel with our experimental equipment to collect data from native speakers across the world. For example, recently our researchers have conducted field work in India, China, Hong Kong, Germany, Sweden, Norway and France (Brittany). In Kolkata we ran experiments at Gokhale College, to look at how differences in the length of consonants and vowels are detected and processed in the brain. We have done this both through EEG experiments and behavioural experiments. 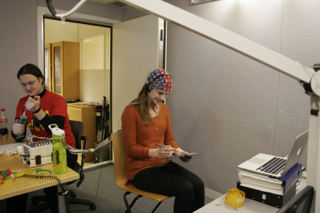 In Trondheim we examined how differences in tonal accent affect the processing of speech, by using reaction time measurements whilst listening to stimuli and by doing an MMN study to tap into automatic processing. We are investigating the lexical representation and processing of word accent in North Germanic. 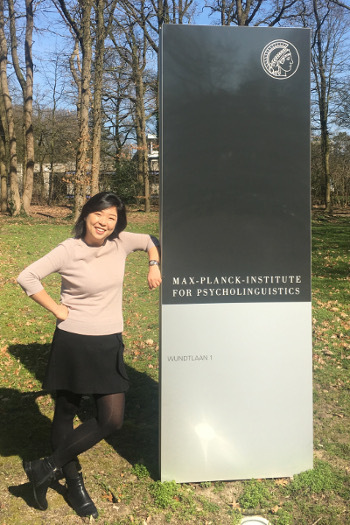 At the beginning of 2019, I was fortunate enough to visit and work at the Max Planck Institute for Psycholinguistics in Nijmegen. My visit to the Max Planck Institute for Psycholinguistics in Nijmegen was generously funded by the Scatcherd European Scholarship for 3 months. While at the MPI, I was a member of the Psychology of Language Department. I also worked within the Cultural Brain Group with whom I am currently collaborating on a research project exploring statistical learning. 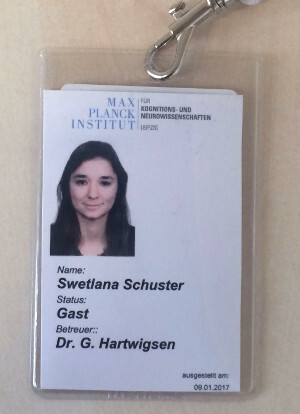 I am thankful to Professor Antje Meyer and Professor Falk Huettig as well as all members of PoL (and beyond!) who made this visit not only possible, but also worthwhile and enjoyable. I would also like to thank Dr Rebecca Frost who kindly took the above photograph of me standing in the grounds of the MPI. The main goal of my fieldwork in Korea was to investigate whether Chinese Hanja characters were represented in the Korean mental lexicon, and if so, how? During March-April 2018, I conducted a series of behavioural studies at three universities in and around Seoul in Korea; namely Kyunghee University, Hansung University and Sookmyung Women's University. I was interested to see whether speakers showed any semantic sensitivity to Hanja characters, offering insight into how they may represented in relation to Korean. 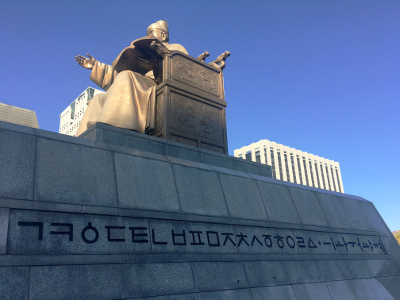 This research is inspired by King Sejong, who promulgated the creation of a native Korean alphabet Hangul (which can be seen in the photo above) after prolonged use of Hanja characters to write Korean. Although today Hangul is our celebrated alphabet, more than half of the lexicon is of Sino-Korean origin. How might this bear effect on our processing? The object of my fieldwork was to investigate the representation and recognition of Mandarin tone3-sandhi, a tonal dissimilation phenomenon where a tone changes its realisation depending on the context. To do this, I ran several behavioural experiments at Tsing Hua University and Wangfu School in Beijing, China. In these experiments, I examined how stimuli with different lexical tones can affect the speed of target word recognition, thus providing insight into how words are represented in the brain. Sometimes, fieldwork can be challenging and rather stressful! I can still remember the pressure of recruiting more than one hundred native speakers, the panic when the projector broke down, and the stress of commuting between two schools with a tight schedule. However, the interest and passion that students showed in the research topic helped make the whole process so enjoyable and rewarding. 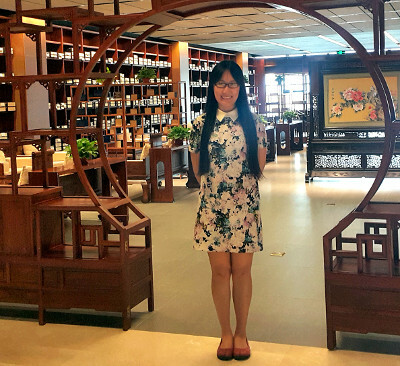 This would not have been possible without the kind help of Dr. Jie Sui who provided the lab space for testing in Tsing Hua University, as well as Mr. Yi Wu for organising students at Wangfu School to take part. 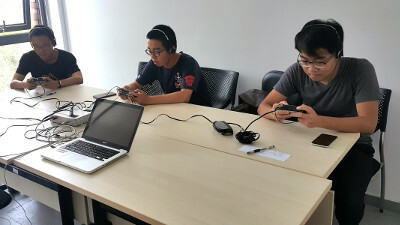 In September 2016, I went on a field-trip to Tianjin University in China to investigate how intonational tunes are perceived in a tonal language. 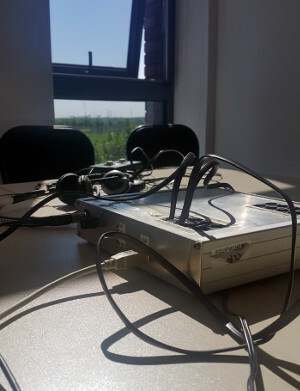 After hearing an utterance, my experiment participants were asked to make a forced choice between whether they heard a question or statement. Our experimental equipment measured their individual reaction times precisely to judge the difficulty of this decision. Whilst visiting Tianjin University, I had the opportunity to visit the university library and see their impressive collection of old documents. At the Max-Planck-Institute in Leipzig, I was very fortunate to be able to run an fMRI (functional Magnetic Resonance Imaging) experiment with 30 native speakers of German. Due to its high spatial resolution, the fMRI technique lends itself to the localization of brain areas that support particular cognitive tasks such as language processing. In this experiment, I was particularly interested in the processing of morphological complexity. I would particularly like to thank Prof. Mathias Scharinger (University of Marburg, Germany) and Dr. Gesa Hartwigsen (Max Planck Institute for Human Cognitive and Brain Sciences, Leipzig) for their assistance in running and analyzing the results from these experiments.